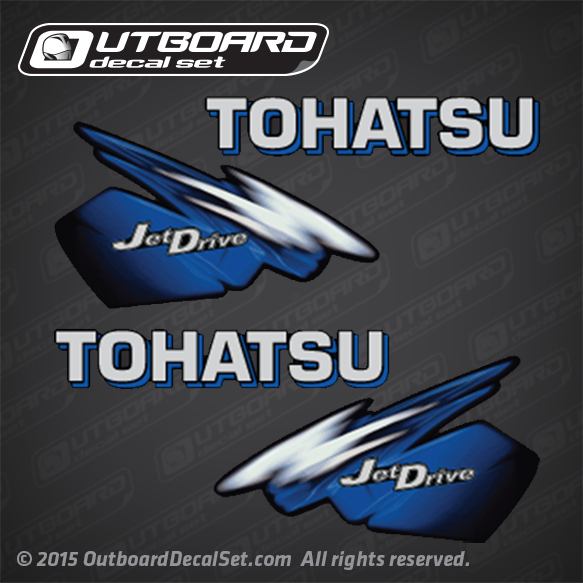 2015 2014 2013 2012 2011 2010 2009 2008 2007 Tohatsu TLDI (Two stroke Low pressure Direct Injection) JET blue shade decals Sold by Set for 25, 35, 40 and 50 hp Outboard models. As seen on MD35 and MD25 models. Please choose the best fitting size for your Outboard.